Good morning! Today we start a new challenge at A Blog Named Hero and it’s a good one! Embossing. That means heat embossing, dry embossing, any kind of embossing you can come up with qualifies to win awesome prizes from Hero Arts. Prep your yupo paper with a powder tool. Using versamark ink, stamp the image onto the yupo paper. Apply gold embossing powder and heat set. Make sure to keep the tool moving and not too close to the yupo, it’s plastic, and will burn/melt. Use a microbrush to “paint” the alcohol ink into the images. Take my advice: shake the alcohol ink bottle well to mix the shimmer into the fluid and then tap the bottle onto the microbrush. I did not do this and now I have a lovely painted tile. Emboss your sentiment onto some cardstock and use a fun die to cut that out. Cut out the background image into a size to layer onto a piece of Amethyst paper from the fun Hero Arts Cardstock Sampler. Adhere that to a card base. Pop the sentiment onto your card front. Angle the card back and forth in the light to admire the awesome pearlescent shimmer. I’m over on the Hero Arts blog today to highlight this month’s challenge at A Blog Named Hero. I hope you’ll come check it out. I’m happy to announce a winner from the Seasons Givings Blog Hop. 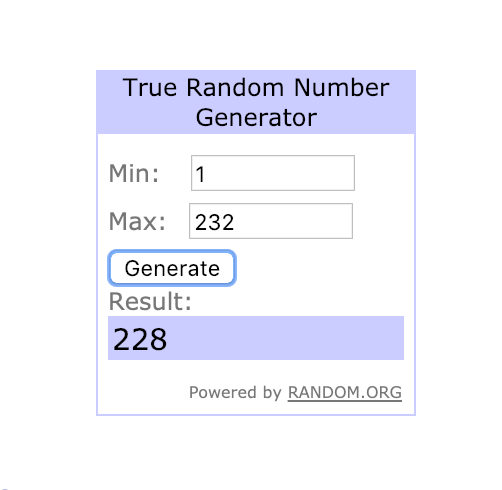 Using random.org, I was told it was #228, which is Linda Bats. Congratulations Linda! I have emailed you for your shipping information. Happy New Year to you! Thanks for stopping by today. I am so excited to be participating in the Seasons Givings Blog Hop, founded by Latisha Yoast. This blog hop is a way for crafty bloggers to thank you, the reader. So, I made you a card. As an aside, I haven’t used Liquid Pearls in a while, and wow, I miss them. They’re basically perfect little embellishments. Now, as a bit of a “thank you” for sticking around on this hop, and following my blog if that’s how you got here, I’ve got a giveaway. I think it’s a good one! A brand new set of Prismacolor Colored Pencils. I will ship worldwide. To enter, please leave a comment telling me what you’re looking forward to in 2019. I’m looking forward to a year of good health for my family and friends. Lisa Stein — that’s me! Now, leave a comment so you’re entered to win. I’d love it if you followed my blog, or my instagram feed. I like finding new creatives to follow, it helps me to broaden my horizons! I’ve got links on the top left of my blog to follow me. I will draw the winner on January 7th, 2019. Please make sure that when you leave a comment you enter your email address so I can contact you. Today I’ve got a post on the Hero Arts Blog to showcase our Winter challenge at A Blog Named Hero. Good morning! Sorry I’ve been so quiet on the blog lately. I’ve been traveling a bit more than usual of late, for family reasons. All is well, or will be soon, but family first, right? TSA is very particular about flying with craft supplies. I guess they’ve also got burned or sliced by our tools. Ha! We’ve got a new challenge starting today at A Blog Named Hero. It’s all about winter and for me that was icy blues and sparkles. This started by blending two colors of Distress Oxide inks onto a piece of watercolor paper. Once that was completely dry I embossed the background stamp onto it with Satin Pearl embossing powder. Gosh, that effect is just so pretty. Here’s a close up. I used one of the Oxide inks to stamp the sentiment onto a scrap of the same watercolor paper. I used clear embossing powder over that for the same shiny finish as the background. Mounted the piece onto a navy card base and then used Nuvo Clear Drops for some added embellishments. This came together in no time, and I’m a bit in love with it. I really do love that background. I wish I could use it for things other than snowflakes. Ha! I hope you’ll join us over at the challenge, there are two prizes up for grabs. Hero Arts has a new catalog coming out soon, so a gift certificate would come in handy!